Veganism is a lifestyle that has been rapidly growing in recent years. In fact, there was a 987% increase in demand for vegan food options in 2018 alone. 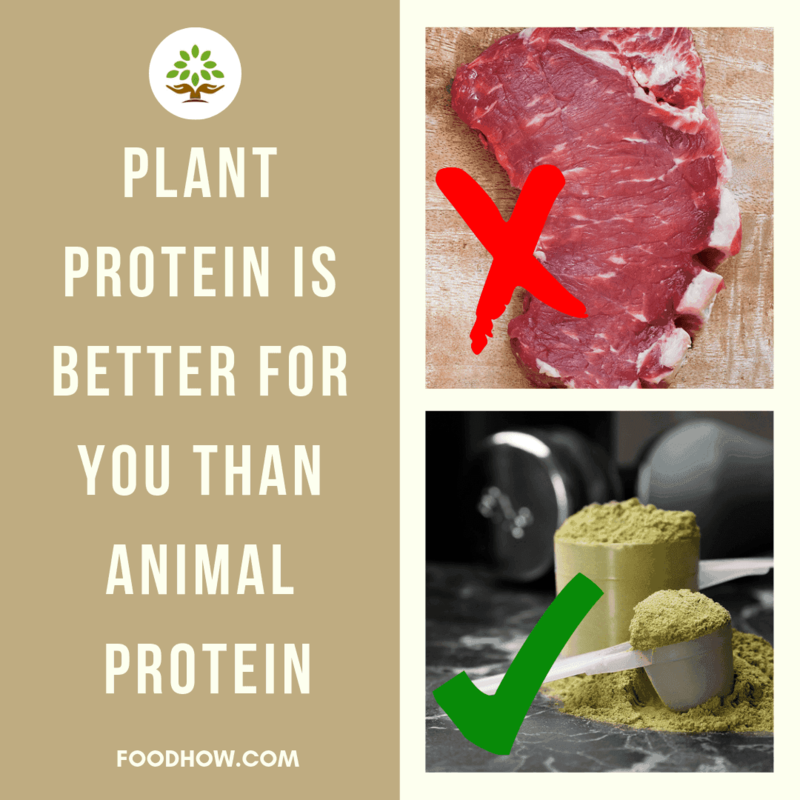 As more and more people are looking for information about plant-based diet for their health, fitness and well-being, it is important to expose some of the most commonly held misconceptions and popular myths about meat protein vs plant protein. There are many documentaries about plant protein vs meat protein but the most high profile one is the film ‘The Game Changers’. Produced by James Cameron and Directed by Louie Psihoyos and scheduled to release soon in 2019. This film is about exposing the popular myth that meat is crucial for protein, optimal health and strength. The film follows James Wilks, who is the winner of The Ultimate Fighter and elite special forces trainer travelling around the world meeting special ops soldiers, elite athletes, nutritionists, scientists and everyday people. What he discovers is so revolutionary and will change his relationship permanently with popular protein sources in our diet and its implications for strength, health and performance. While it is great that veganism is reaching new heights, there are still those who fight against it. There are many arguments these people make, but for ages, one of the biggest rebuttals that omnivores hurl at vegans is that they don’t get enough complete protein in their diets and meat is the better way to go. However, that is simply not true. Sure, meat does contain a lot of protein, but did you know that you can get the same, if not more protein from some plant-based foods compared to meat. The great thing is, these plant-based protein sources are cruelty-free and do not come with increased risk of cardiovascular disease (such as high blood pressure), and other life-threatening conditions. Another argument that people make against veganism is that vegan protein doesn’t have as good an amino acid profile as animal protein. While it is true that meat is a complete source of animal protein, plants can provide you with all essential amino acids as well. It is probably necessary at this point to clarify what is considered as a complete protein. Complete protein is one that has all 9 essential amino acids required for optimal bodily functions. We need all of these 9 essential amino acids to function properly, unfortunately, our bodies can’t produce these amino acids so we have to get them from our food. One of the main concerns of people who eat predominantly a plant-based diet revolves around their protein intake, and it’s a common mistake to define “complete protein” intake as something dependent on quantity rather than quality. It has been shown that animal protein isn’t in any way more complete than plant protein, as a matter of fact, both plant and animal protein ultimately originate from the same source, the sun and the soil. It is a bit absurd then, to assume that one form of protein is superior to the other. Of course, some plant proteins contain a bit lower amount of some essential amino acids, but this is something that our bodies are very capable of compensating and recycling amino acids to meet our needs, and keeping a pool of amino acids ready for when we need them. 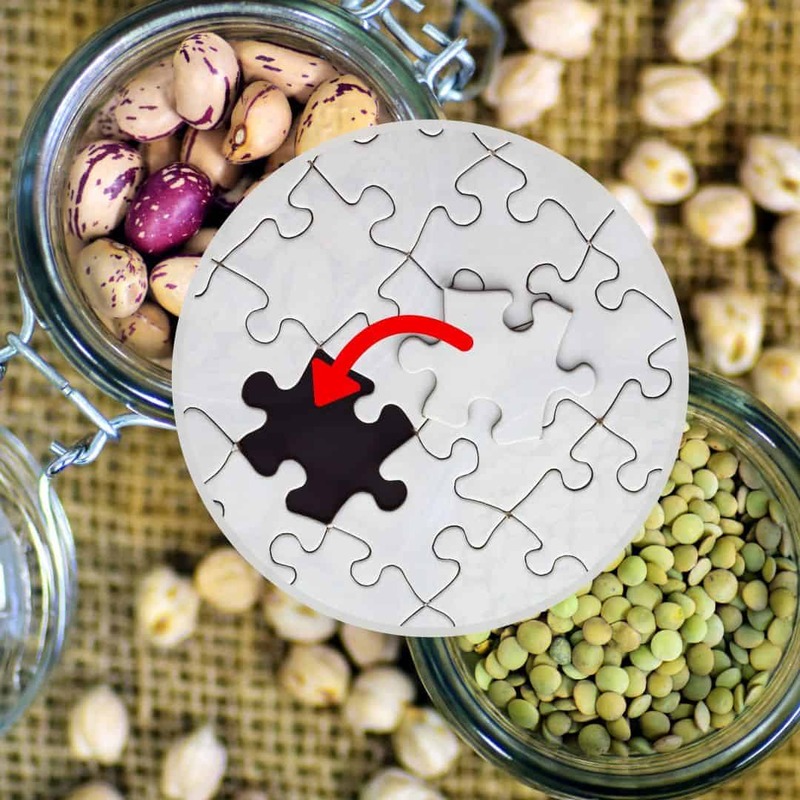 It is important to correct this myth and misinformation about incomplete proteins so that people won't be afraid to follow pure plant-based diets. In this video 'The Protein-Combining Myth' Dr. Michael Greger explains further how there is no such thing as incomplete vegan protein, how that myth got started and also debunking the protein combining theory. The only incomplete protein source is gelatin, which is actually derived from animal protein collagen and it has no tryptophan and therefore it is incapable of building and replacing new tissue so you would not be able to live on just eating jelly alone. The way to make gelatin viable is by combining gelatin with another food that contains tryptophan, the missing Essential amino acid. It does not need to be meat or dairy but can easily be another plant food. 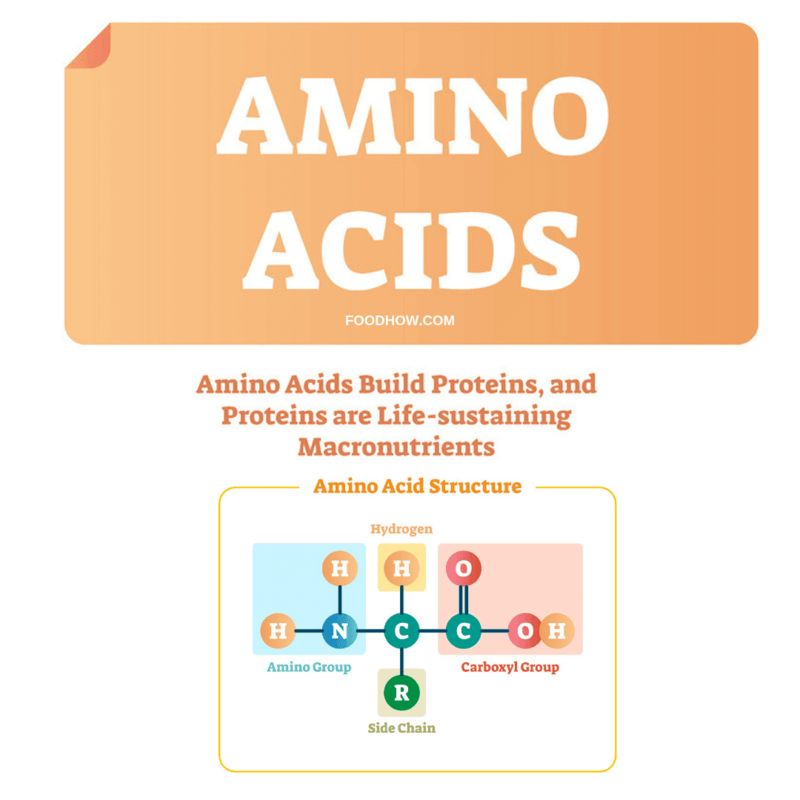 Amino acids are the organic compounds that combine to make up protein. Proteins, in turn, are an essential part of all the living cells and plays an essential role in almost all the biological processes in our body. It helps to build muscles, repair injured tissue, protect the body and perform thousands of other vital functions. Essential amino acids are those that have to be derived from the diet as the body is incapable of making them. 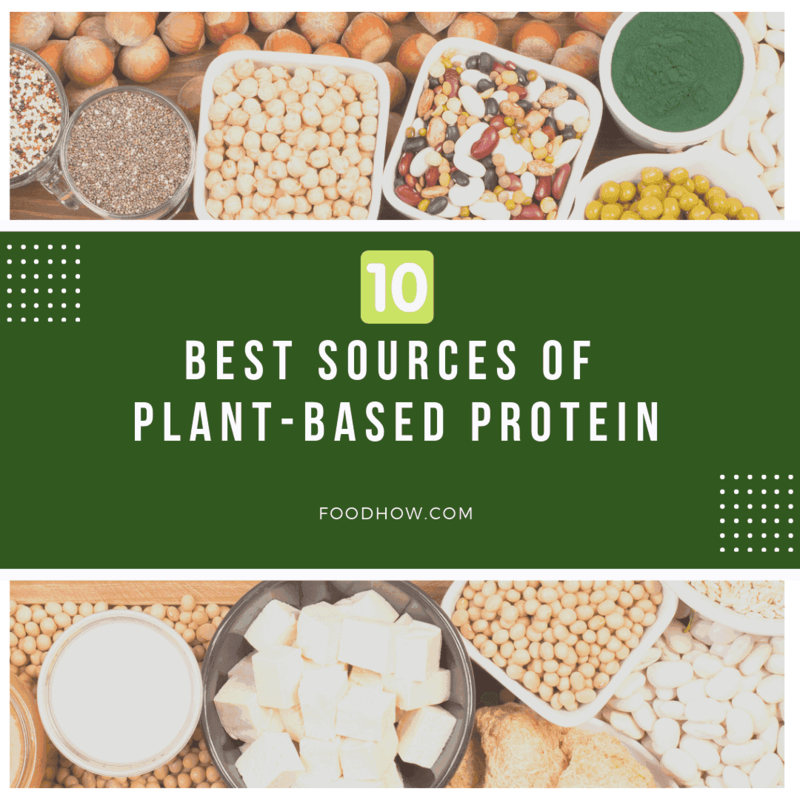 If you’ve been eating a plant-based diet for any length of time, you have probably been asked the popular question, “How do you manage to get enough protein?” With these 10 amazing protein-packed foods it is super easy to meet your daily requirement. Whether you are vegan or maybe you are into fitness and bodybuilding and you just want to mix up your protein sources, here is a list of 10 amazing vegan protein foods that you can also get in powder form. These foods have more protein than some meats and are really easy to incorporate into your diet especially if you get them in a powder form. You can easily add them to your foods, smoothies, shakes and so on. I have been using this California Grown Spirulina Powder below but there are few other good brands you can choose from. For quite some time now, spirulina has been well known as a superfood. This blue-green algae is not only abundant in iron, B vitamins, and other nutrients, but it also contains 65% protein per ounce. This makes spirulina the most protein-rich food of all. You can add it to your smoothies, water, fruit juice, porridge and so on. It also has the benefit of reducing inflammation and alkalizing the body, things that animal proteins actually work against. Spirulina powder is truly astonishing in terms of the amount of protein it contains and it's antioxidants. You probably don't want to use it as your main source of protein as the recommended dose for spirulina is 1-2 teaspoon of powder a day and frankly, it would be just too expensive to eat it in large quantities. However, you should definitely add it to your foods daily. I have been taking spirulina for over a year now and mainly for its antioxidant properties. This Organic Moringa Oleifera Leaf Powder below is a great choice. It has a nice earthy taste, very similar to spinach and is perfect for smoothies, drinks and other recipes. Moringa powder is made from dried leaves of the Moringa tree, a tree native to India. 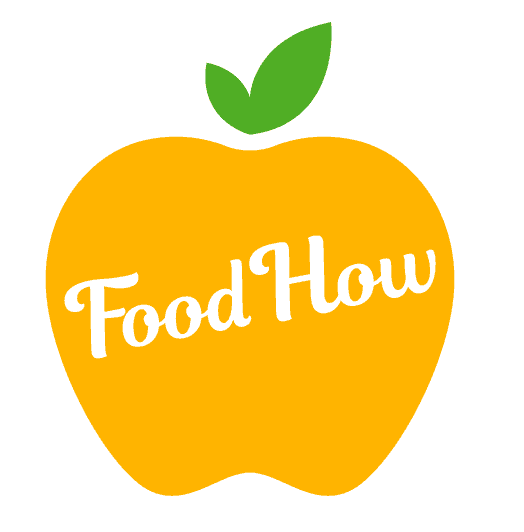 This superfood is actually one of the most nutrient-dense raw whole foods available on the planet, providing large servings of protein and nutrients such as vitamin B6, vitamin C, iron, vitamin B2 (riboflavin), beta-carotene, magnesium, and protein. You can eat moringa by sprinkling it on your salads, baking it into desserts and healthy pancakes, mixing it in soups, and adding it to smoothies and oatmeal. Hemp seeds are one of the best plant-based proteins considering that it provides all the essential amino acids. Moreover, it is also rich in fiber, omega-3 fatty acids, and of course, protein. Hemp seeds contain ten grams of protein per two tablespoons. You can easily eat hemp seeds by adding them to your smoothies, oatmeal, cereal, or simply eating them as snacks. Much like spirulina, hemp seeds aid in alkalizing the body and increasing metabolic functions. This Just Hemp Cold-Processed Hemp Protein Powder is probably my favourite one on this list. It may not mix as good as some of the other powders here but it is such a high-quality product and it contains fibre, omega 3 fats, protein and a great number of other nutrients so it is a great meal just on its own. You are probably not going to get all the powders on this list as I did but if you are just going to get some of them then this one should be on top of your list. This Herbal Secrets Organic Soy Protein Isolate is one of the best ones I have tried. This Soy protein powder is organic and is made from soybean flakes that have been dehydrated and turned into a fine powder. It is a great choice if you are into fitness or bodybuilding or if you just want to increase your protein consumption form dairy-free sources. It is very good quality and good price also. Soybeans are available as fresh and delicious beans called edamame and provide just as many essential amino acids as you’d receive from animal proteins. In addition to containing 18 grams of protein per 1 cup cooked, soybeans also provide you with many nutrients and minerals such as iron, vitamin B2, vitamin K, magnesium, and omega-3 fatty acids. One of the most popular ways to eat edamame is as a boiled and lightly salted snack. This Smart138 Pea Protein Powder below is my Favorited by far. This powder is Ultra-Fine, gluten-free and mixes and really well and tastes great. If you want to completely replace your whey powder then this one is the one to get. Pea protein offers a good selection of micro-nutrients like copper, manganese, phosphorus, folate, vitamins B2 and B6 and niacin. Peas are also high in fibre, which could enhance fullness, and aid your digestion. Pea protein is, of course, a complete protein and contains all nine essential amino acids. Pea protein is a very good option for you if you are sensitive or allergic to soy protein and it is a perfect protein source for vegetarians and vegans. Getting it in a powdered form makes it super easy to incorporate pea protein into your daily diet. Lentils are similar to beans in many ways. They boast about the same amount of protein (18 grams per 1 cup) and provide lots of fiber, vitamins, and minerals. In fact, the type of fiber found in lentils is known to even increase the good bacteria in your colon, thus improving your gut health. Lentils also have a lot of slow digesting carbs, which have been proven to aid in weight loss and prevention of diabetes. They can be used in many dishes such as fresh salads, soups, and other meals. I have always struggled to eat enough lentils, not because I don't like them but more because of the lack of any good recipes I could easily incorporate them. Lentil Powder is absolutely perfect for me and it makes consuming lentils so much easier. I can add it to so many foods which I couldn't do with regular lentils. Unfortunately, there are not many lentil powders to choose from. I have been using TerraVita lentil powder above and it seems quite good quality but at this point, I have no comparison. Spinach, a 51% protein food, is a versatile plant-based protein that is also packed with many other nutrients. In just one cup of spinach, you’ll receive 5 grams of protein along with good amounts of vitamin C, iron, folate, and other vitamins. Even better, you get all these great nutrients for only 30 calories, making this one of the best plant-based foods for weight loss. To increase your daily intake of protein, you can add spinach to your salads, smoothies, sandwiches, wraps, soups, wraps, or just about any other dish you decide to make. If you like spinach as I do then it is quite easy to add it to your diet and you don't even need to get it in powder form. With the right blender, you can effortlessly add it to all the smoothies and shakes. However, if you are struggling to eat enough spinach leaves then this Biofinest Spinach Powder above is a great choice. It is Freeze-Dried and Organic and mixes quite well even in the shaker bottle. Quinoa is another superfood on this list that also packs a hefty amount of protein. Just one cup of cooked quinoa contains 8 grams of protein. In addition to its high protein content, quinoa has many other health benefits as well. It is gluten-free, contains all nine essential amino acids, and is high in fiber, B-vitamins, iron, potassium, calcium, phosphorus, antioxidants, and many other nutrients. It’s also great for blood sugar control, considering it has an extremely low glycemic index. Quinoa is eaten in many ways such as by adding it to salads, soups, stews, burger patties, Buddha bowls, or eaten by itself. I do actually like Quinoa as it is, as a grain, I mostly add it to my morning porridge and I like the texture of it. I just wanted to try out Quinoa Powder to see how it would taste like when mixed with smoothies and protein shakes and I am still quite sure about it. I may need to try different brands to see if that makes any difference but the one below is the only Quinoa Powder I could find. Try it and comment below the post if you like it or not. Broccoli is that vegetable you wish you started eating more of since childhood. If we measure in calories, it actually has more protein than beef. Broccoli has 11.1 grams of protein per 100 calories, while beef only has 6.4 grams of protein for the same amount of calories. While beef and other red meats are linked to all sorts of diseases, broccoli is actually shown to provide your body with rejuvenating nutrients. Some of the nutrients you’ll get when eating broccoli include amino acids, vitamin B6, fiber, folate, and potassium. This cruciferous vegetable can be eaten raw or in salads, stir fry, soups, smoothies, or just about any other dish you can think of. Personally, I am not a big fan of broccoli and I really did struggle to eat it enough but the broccoli powder has been a real game changer for me. It is quite amazing how much broccoli I am consuming day-to-day without even noticing it. There are few good quality broccoli powders you can get but this is the one that I am currently using and I would recommend it. One of the reasons I like this one is because it is 100% pure freeze-dried and organic and it also mixes well so I would never actually notice that I am eating broccoli. Here is the almond powder I have been using. It is by made Biofinest and it is extra fine ground, perfect for shakes and mixes well. It is also certified organic. Almonds contain eight grams of protein per quarter-cup and are also rich in magnesium, calcium, and iron, which helps to improve your sustainable energy levels throughout the day. Almonds certainly make it easy to meet your daily protein requirements, you can snack on them raw throughout the day or if you are using almond powder, you can simply add it to smoothies and shakes and other foods as you like. Here is my favourite Sprout Living Cold-Pressed and Organic Pumpkin Seed Protein Powder below. Although pumpkin seeds are small, don't be fooled, these little seeds are powerhouses full of protein and nutrients and many benefits. Pumpkin seeds are also a great source of unsaturated fats, especially omega-3. Pumpkin seeds also contain a good range of vitamins and mineral including magnesium, zinc, calcium, iron, B vitamins, selenium, and beta-carotene that our bodies turn into a vitamin A.
Pumpkin seeds are easy to add into your diet as an ingredient in baking or meals or just as a snack. Getting pumpkin seeds powder will make adding them to your foods and shakes, even more, easier and convenient with endless possibilities. It’s a recurrent misconception that you need meat or dairy products to get enough protein into your diet. 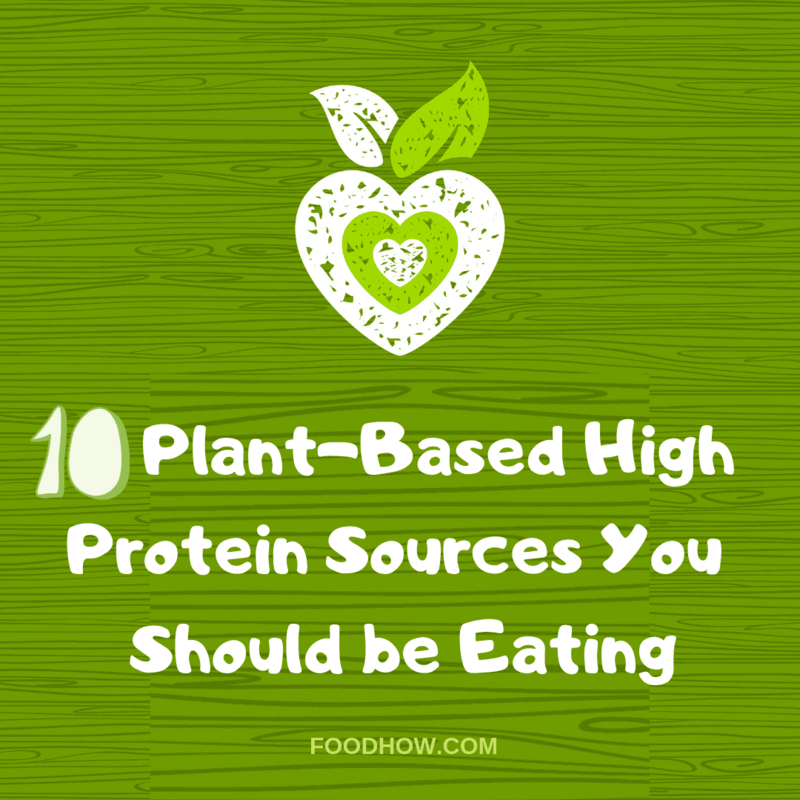 Many plant foods are fully loaded with protein. If you include 2-3 of these powders into your diet, you'll easily meet your daily requirement. Thanks so much for explaining this to me! I was thinking to make a switch from whey protein but I was lost on it all. I’m not a vegan at all (not financially feasible to give up all animal products completely) but I do try to eat a few vegan meals a week, and this really helps! We already eat a lot of spinach and hemp in our house, but I think I’m going to try adding in some lentil-based recipes before too long. Thanks for the advice!